Canadian Daily Deals: Swagbucks The March Referral Bonus Is Here! 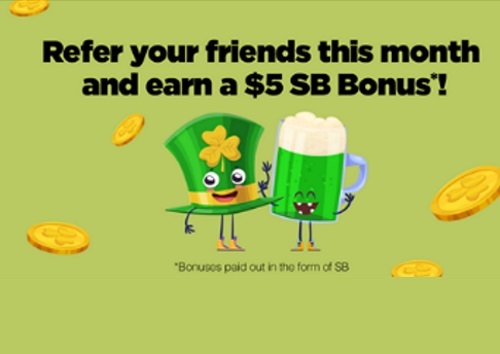 Swagbucks The March Referral Bonus Is Here! 2. Earn 300 SB total before April 1, 2017. You'll get a $3 (300 SB) bonus for it! 3. If you spend at least $25 through Swagbucks Shop (You must receive your shopping SB before May 1) you'll get another $2 (200 SB) bonus on top of the cash back you'll get from shopping. If you have some shopping to do online, just go to Swagbucks first and visit the store through them. It doesn't cost you anything extra, but you'll get SB points for every dollar you spend (on top of the bonus)! That's it. It's super easy, and Swagbucks is for real. I use it myself, and I earn $100 every month through Paypal.